Blog Home > Building and Construction > What is the answer to the ‘housing crisis’? Official census figures have been released by the office of National Statistics (ONS). They make for interesting reading in relation to the low increase of the number of ‘households’ compared to population figures. The census has revealed that the number of households in England and Wales was 23.4 million in 2011 as opposed to 21.7 million in 2001, a rise of only 1.7. Over the same period the population rose by approximately 4 million to 56 million in 2011. This is an indicator that young people are not able to move out of the family home. The Census confirms that in the 14 years prior to 2011 there has been a 20% increase in the number of 20-34 year-olds living with their parents. In addition the percentage of people owning their own home has fallen to 66%, the lowest rate since 1998. Larger household groups make each individual better off as they can spread the household bills and costs. Energy consumption will be lower as heating and cooking costs will be shared. 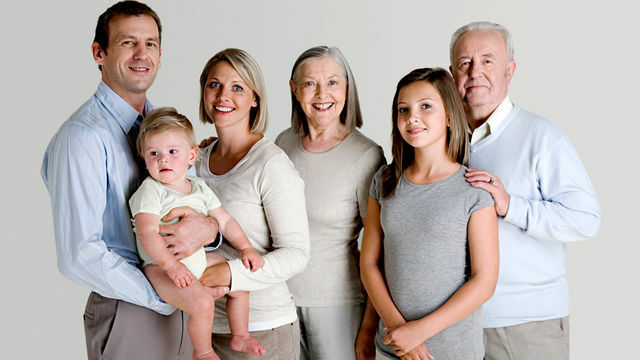 Multigenerational families can share fewer vehicles to cut costs and carbon emmisions. Childcare, nursing and care for the elderly are more likely to be integrated into the day-to-day running of the household where several generations are living under one roof. Financial pressures on young people are huge for this generation as they face factors such as high student loans and a lack of money in the state pension funds. By staying at home they can keep their expenses down to allow them to plan for these contingencies. By staying in the family home longer, they stand more chance of being able to save money towards a deposit to buy their own home. Perhaps what is actually needed is to plan housing that allows mixed generation living in a way that is convenient to the people living in them. The Relationship Foundation are asking for planning laws to favour ‘granny flats’. Peter Lynas from the foundation says “Planning law should adopt a presumption in favour of granny flats and the tax system could incentivise this type of living arrangement”. Home improvers and self-builders could consider these issues when planning the number of bathrooms, water heating systems, and ancillary kitchen areas. Younger generations could be housed in loft conversions, and where there is a large garden available households could consider adding a home office buildings to give space to work or even to have an area that is quiet. We would love to hear of your own experiences of this sort of living, or your opinion whether you think this could work for you – please leave yoru comments below.